Monobank ASA ("Monobank") reports solid development in the fourth quarter 2017. Both the Norwegian and the Finnish operation has developed better than expected. In addition, development projects such as preparations for a credit card launch in May, has progressed in line with plans. 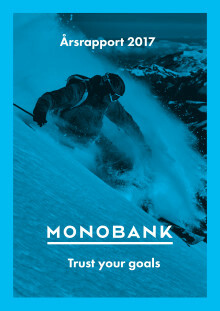 The geographical expansion and the broadened customer offering, are regarded to be evidences of the scalability in Monobank´s operational platform. The net loan balance was NOK 2.35bn per year-end 2017. This is above previously communicated targets. The credit quality has improved in line with expectations. With a rapidly growing data base, the tuning of the internally developed credit model continues. The goal is to further optimize credit quality overall and selective pricing among different customer groups. 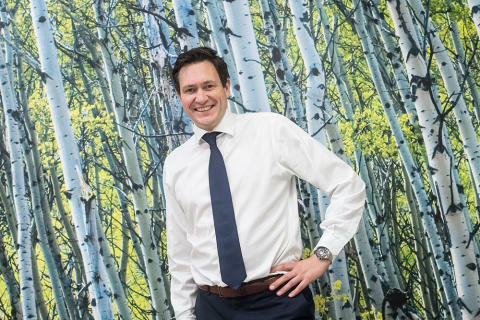 “The fourth quarter and the start of 2018 has been eventful. We´re pleased to see that the loan portfolio grow at a more rapid pace than expected. Furthermore, we invest in the development of a wider and more innovative offering. In total this positions Monobank well in a competitive landscape still offering attractive opportunities. With several milestones reached and investments made, I look forward to a 2018 where Monobank will strengthen its market presence and where we are positioned for a strong pick up in the results”, says Monobank CEO, Bent H. Gjendem. 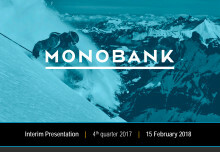 Monobank presents the fourth quarter and 2017 full year figures today 15 February in Bergen at 08:00 at Monobank offices, Telegrafen (entrance from Olav Kyrresgate). The company will also hold a presentation in Oslo today February 15, 13:00 at Hotel Continental.